To increase the reliability of Seatrax offshore cranes, we manufacture our hoists in-house, providing increased safety and ease of maintenance. Each hoist, certified for handling personnel, is designed specifically for use on offshore cranes and does not require periodic overhaul or changeouts. 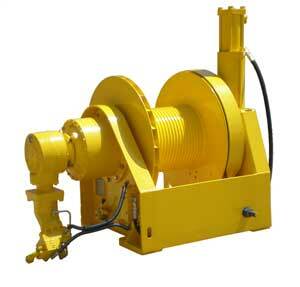 Our hoists use a fail-safe, spring-applied, contracting-type drum brake in conjunction with hydraulic dynamic braking. This provides two independent load-holding systems that do not share a common load path. Regardless of clients' hoist application requirements, Seatrax can customize mountings, line speed, line pull and cable capacity to match individual needs. Our engineers comprehensively analyze each client's requirements and build purpose-designed, reliable and easy-to-maintain hoists that best suit those needs. Seatrax hoists can also be used and built for other applications. 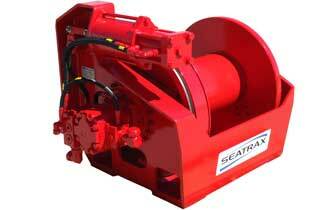 Seatrax hoists are simple in design, engineered to last, rugged and proven worldwide. 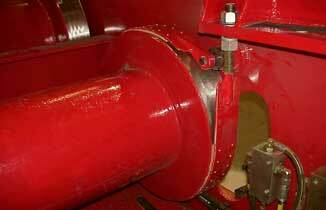 For more information about our fail-safe hoist features, download our technical paper. 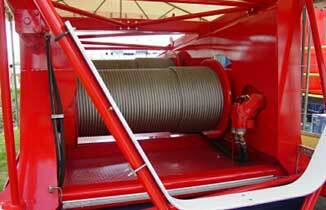 Single-line speeds exceeding 600 feet per minute/Single-line hoisting capacities to 250,000 lbs.